Having dedicated her life to unearthing the long lost gems of the early 80s via her Minimal Wave imprint, as well as curating thrilling modern music for her sub-label Cititrax, Veronica Vasicka has made a name for herself calling the shots from behind the curtain. Today, she steps into the spotlight as the headline artist with her highly anticipated debut solo 12″ on Regis’ imprint, Downwards. ‘From Here’ was recorded in 2004, with no intent to be released. Framed by a larger, more intimate process for Veronica, who was then keeping a sonic diary of her daily adventures via a 4-track recorder and analog synths, it puts into perspective the personal evolution and singular nature of one of today’s most acclaimed DJs and selectors to frequent the stages. Setting up an out and out anxiogenic, eerie industrial atmosphere from your darkest fantasies, Veronica’s original mix burns slowly, like a glowing candle in the cold night. Exposing a musical identity both sensuous and disenchanted, the track gets all the more dancy and carnal in the hands of Regis, who tweaks it into a smooth libertine late-nighter. Second to counter-seal ‘From Here’, former Nitzer Ebb and Depeche Mode collaborator Paul Kendall transforms it into a more riff-charged, busy sound design where textured membranes dangerously bleed into one another as distortions convulse recognisable shapes into an abstract tableau of machine whispers and altered fragrances. To top things off in regal manner, Robert Hampson – founder of the legendary band Loop and also Main – adds a propulsive, hi-NRG twist and delay-soaked dimension to the vibrant multiverse that makes for a variedly-nuanced debut 12″. 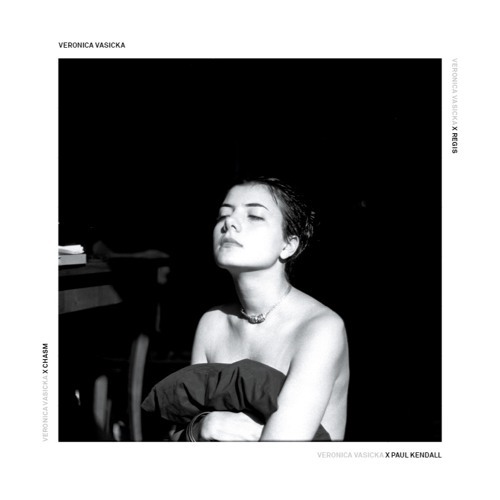 A unique, shape-shifting object that suits Veronica Vasicka’s complex musical persona like a glove. And finally, the artwork is designed by Veronica herself, featuring two self-portraits she shot on 35mm film at 16 years of age. Original track written & produced by Veronica Vasicka A2 mix by Regis B1 mix by Paul Kendall B2 mix by Chasm aka Robert Hampson ℗ & © Downwards 2018 Cat. No. LINO80 – all rights reserved. where I can buy this record?